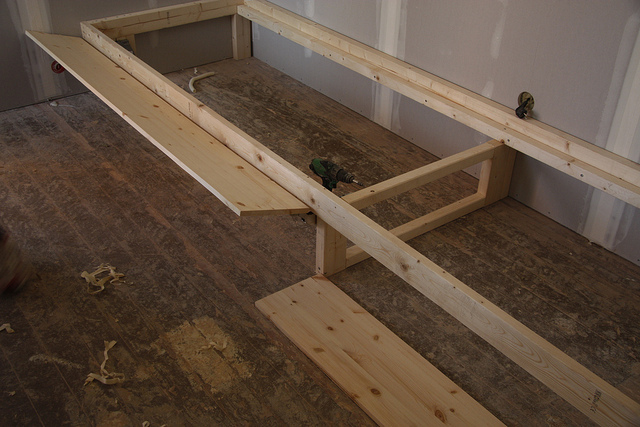 I got a comment/question today regarding our homemade daybed. Do I have a "recipe" for how to build it? 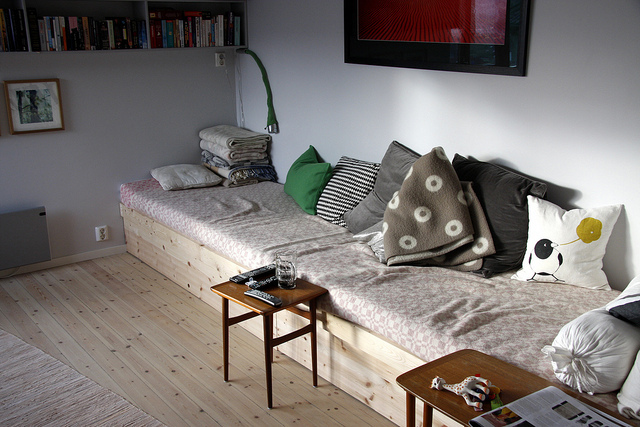 I have thought about doing a post on our daybed ever since we build the first one (seen below) in our Bergen apartment. 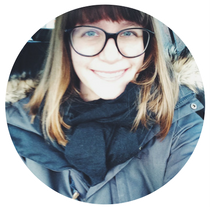 It has been a long time coming, but here it is - at last! 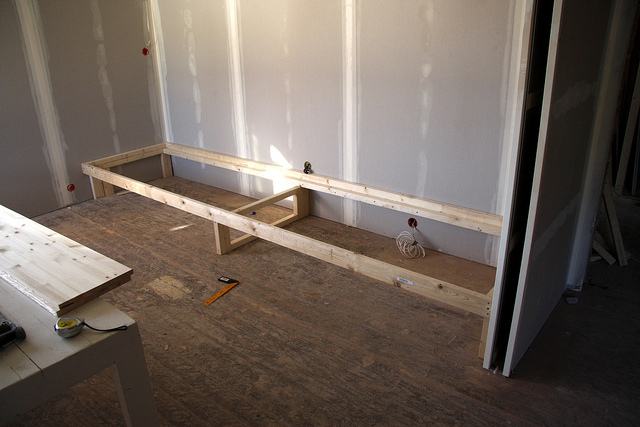 My husband Sølve is the mastermind behind the construction of the daybed. If he were to explain the design and construction of it, he would probably do it in a way that would make people actually understand it and then possibly be able to build one themselves. I'm mostly just into the aesthetically aspect of the design/construction, so I'm hoping these photos will be explanation enough. The materials we used are simple two by twos and two by fours plus what in Norwegian is called a "hobbyplate" for the front. We bought the hinges for the fronts at IKEA. They are called UTRUSTA for horizontal door. 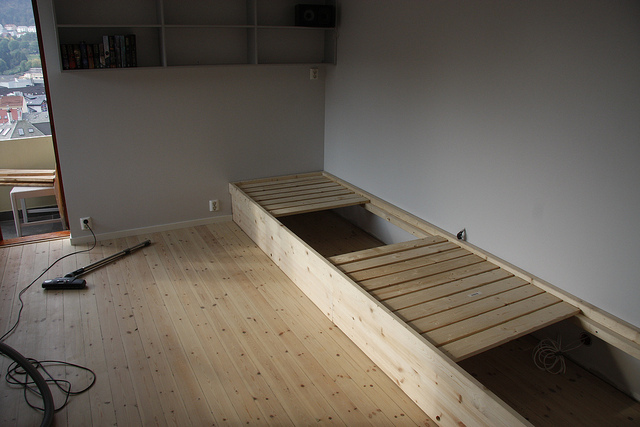 The daybed measured 4 meters in length and had room for a 90 cm wide mattress. 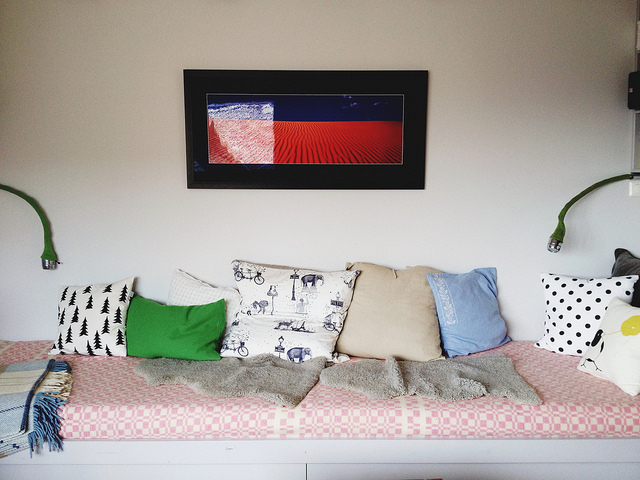 When we had guests, the daybed was easily transformed into a guest bed for two people. 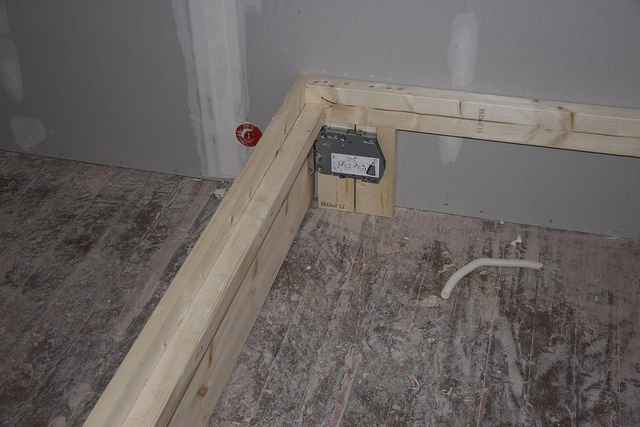 The area underneath the mattresses were used for storage. Done! But not yet painted. Done and painted (nøytral from Jotun). I kept spare duvets (for guests) in the big pillows. I planned to get special covers sewn for the mattresses, but instead I used a extra long wool blanket. 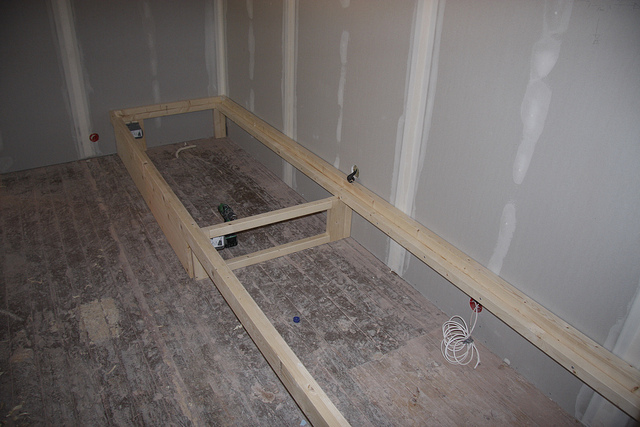 I'll do another post tomorrow on the daybed we built for our Stavanger home. 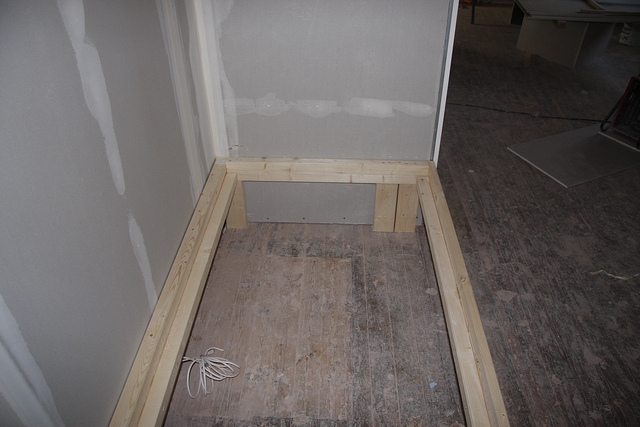 It is mostly the same; the biggest difference being that it is a corner design. Jeg har alltid digget daybedsa dine. Kanskje vi skulle bygget noen her i vårt lille Storhaug-hus, MEN hvordan er det med madrassene: sklir de?